alaTest ha raccolto ed analizzato 8 recensioni su Samsung SGH-T239. La media della valutazione per questo prodotto è 3.2/5, confrontata con la media della valutazione di 4.1/5 per altri Cellulari. La recensioni circa usabilità e performance sono generalmente positive. In aggiunta, prezzo e design sono inoltre apprezzati. Abbiamo analizzato differenti valutazioni di esperti ed utenti, età del prodotto ed altri elementi. A confronto con altri Cellulari, Samsung SGH-T239 ha ottenuto un alaScore™ complessivo di 80/100 = qualità Molto buono. 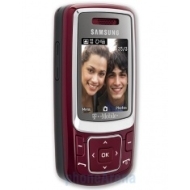 The Samsung SGH-T239 has an easy-to-use design, a functional feature set, and decent call quality. The Samsung SGH-T239's volume is rather low. The Clear key is hidden behind the sliding face. With decent performance and a few extra features, the Samsung SGH-T239 offers great value for a prepaid phone. For anyone who is looking out for a basic phone which is worth the money being paid for it. Definitely worth a shot. It's unfortunate that others have had some issues with this phone. I got it so that I could ride out my AT&T contract with a non-smartphone. It works great as a simple phone ... bonus points for having bluetooth and speakerphone capability. Newegg - Should be ashamed!! I thought I get such a great deal but then the phone arrived and I couldn't charge it. What a pain, now I have to deal with this. Newegg, I thought better of you. This phone is a little dated. However, my motivation for purchasing it was to get a cheap, minimal phone until I run out my contact with my current carrier. I didn't want or expect much from it. Just basic calling and texting.